This Design Your Own Helmet with Wipeout Dry Erase Productive Gear post is part of a sponsored campaign for Wipeout Dry Erase Productive Gear. I received compensation for my participation, but my review and opinions are my own. Our youngest child has always been a bit of a free spirit. She has a strong will and is very vocal about what she wants. 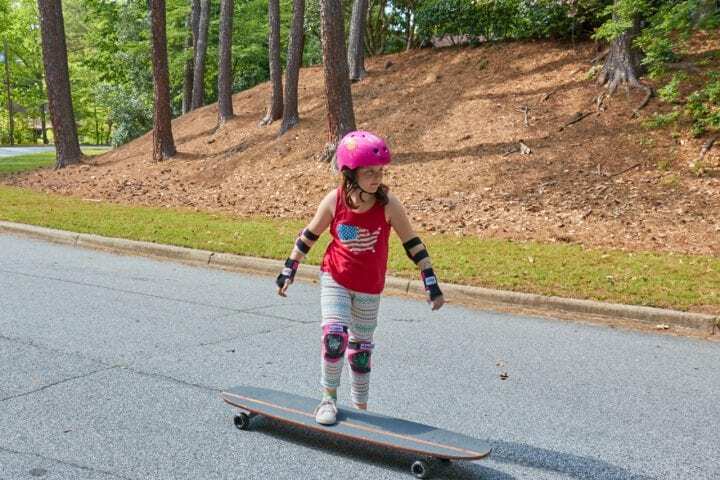 When she decided she wanted to be a skate boarder, we bought her a skateboard and let her give it a shot. She loves it and 4 years later she is still going strong. My philosophy as a parent has always been to let the kids try whatever they want to within reason. I love when they want to try new things and it makes me even more excited when I find something that really lets them express their creativity. 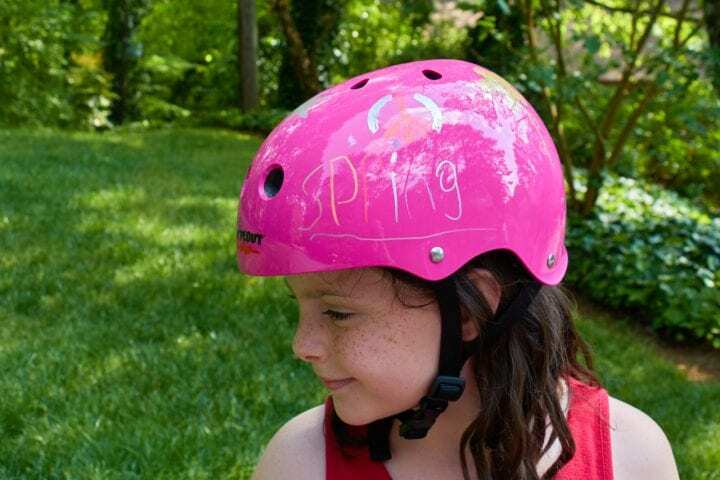 My daughter Laurel recently had the opportunity to design her own stylish helmet. She decided to go with a spring theme by using plants and flowers and peace signs I think. She spent about 20-25 minutes finding the perfect designs and then creating her own helmet. It was so easy! Triple Eight has been making protective gear for over 20 years for everyone from top pro athletes and top retail outlets around the world to kids just starting out on bikes, scooters, skateboards, roller skates, sleds and snowboards. Triple Eight has been developing the best action sports protective gear for skate, bike, roller, water and snow sports including innovative helmet designs and a broad array of products including wrist, knee and elbow pads. Triple Eight wanted kids to have fun and to love wearing their helmets, pads, etc. They wanted parents to be happy to so they added a creative twist to a mandatory safety item for kids. After years of protective gear R&D, Triple Eight has now created a helmet for kids ages 3-11 that are unique as the kids who will wear them. 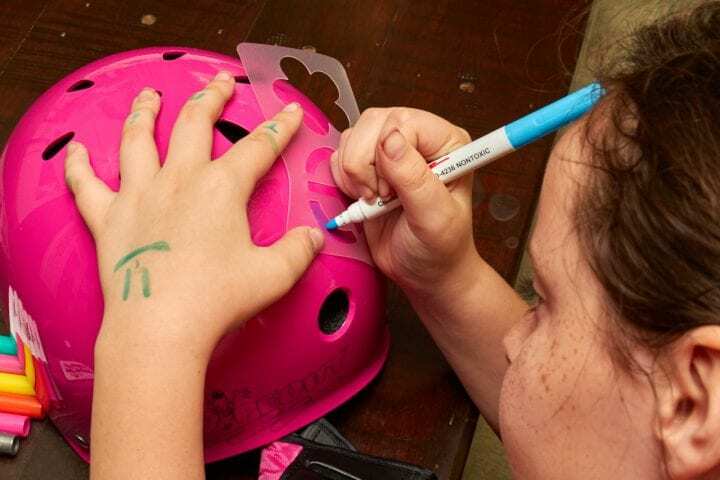 The dry-erase markers and stencils they include in the kit allow your child to endlessly customize their helmets and pads. Simply draw on, wipe off, and draw again! Now with Wipeout™, your child will be protected in style! 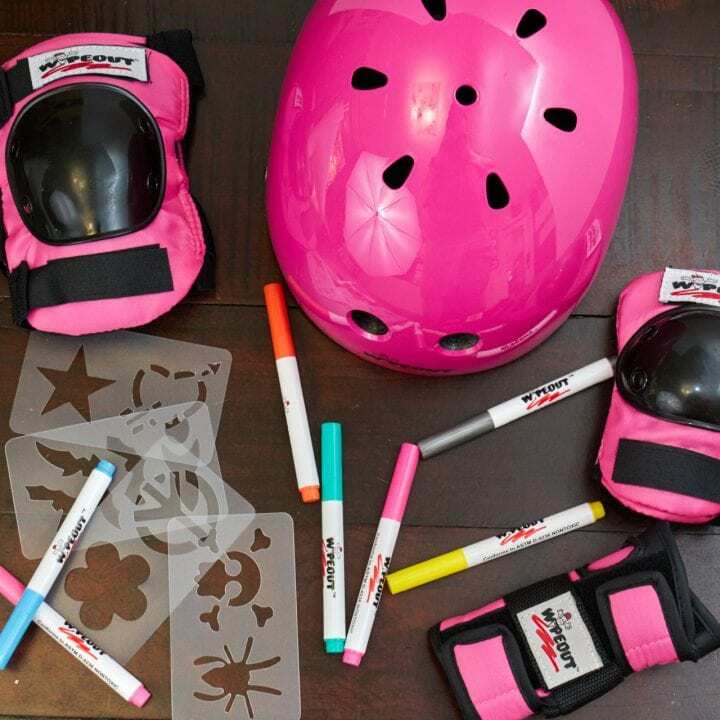 Wipeout Dry Erase Protective Gear lets kids customize their helmets and pads with their own designs, using included markers and stencils – so they can start being creative right out of the box because they can easily wipe the designs off and create new ones, again and again. 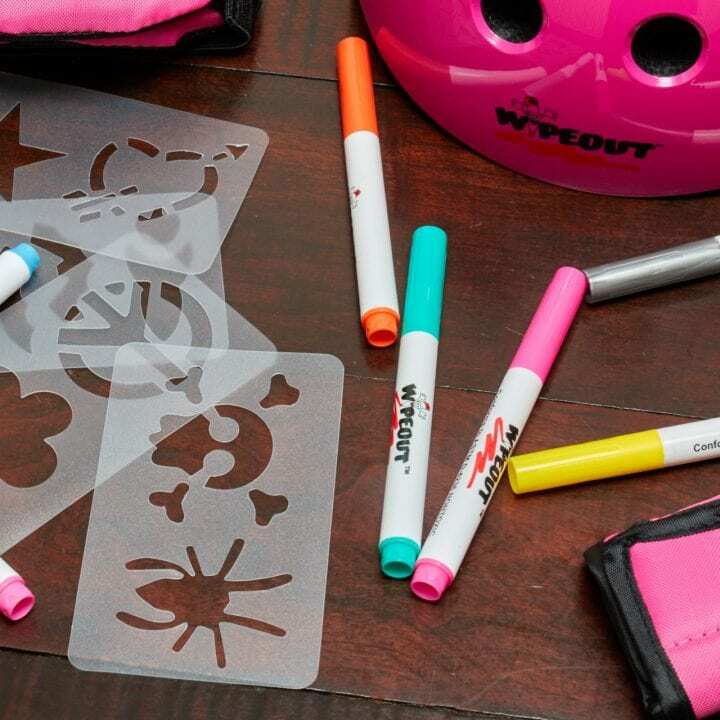 The Wipeout Dry Erase Helmet package includes the Dry Erase helmet, 5 Dry Erase markers in assorted neon colors and 8 stencil designs, for $29.99. The sturdy and stylish helmet is made of ABS hard-shell construction with an EPS liner for durability. 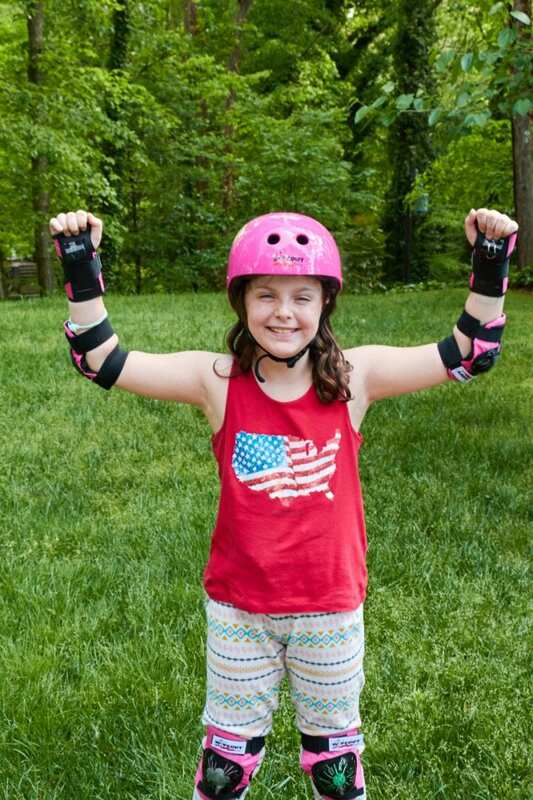 It is certified for safety protection for roller sports, including biking, skateboarding, roller-skating and scooters, for kids ages 3 to 14. 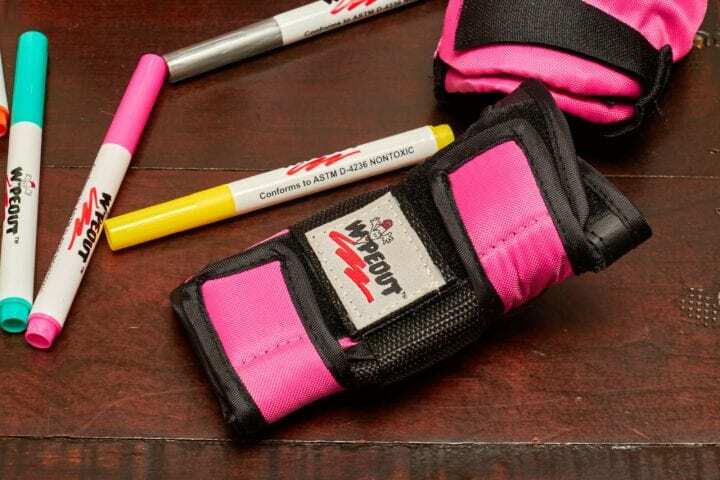 Wipeout Dry Erase Protective 3-Pack includes kneepads, wrist guards, elbow pads, and 2 markers, for $24.99. Pads come in Black, Teal, Neon Pink and Zest. The Snow version of the Dry Erase helmet comes with ear flaps and a goggle clip, for sledding and snow sports. $39.99. 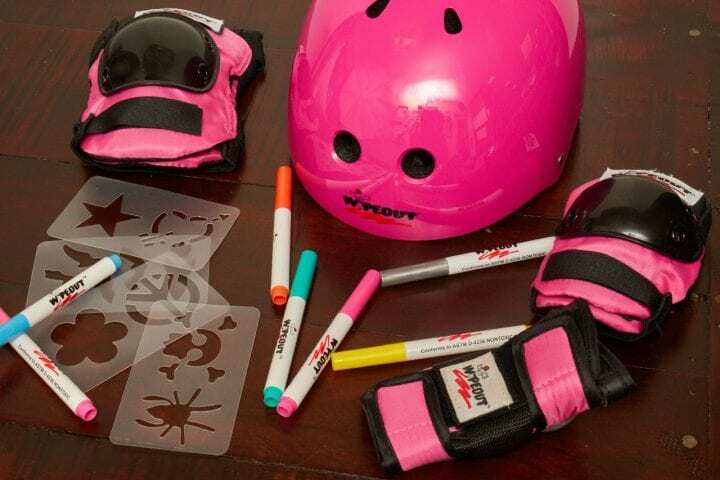 You can find Wipeout Dry Erase Protective Gear at Toys R Us, Target, Academy, Scheel’s, Amazon and other leading retailers. To further encourage kids’ creativity, Wipeout has developed a series of step-by- step photo and video tutorials to inspire kids to get the most out of Wipeout, as well as design printouts kids can follow. Check out these iWipeout tutorials on how to decorate their helmets. 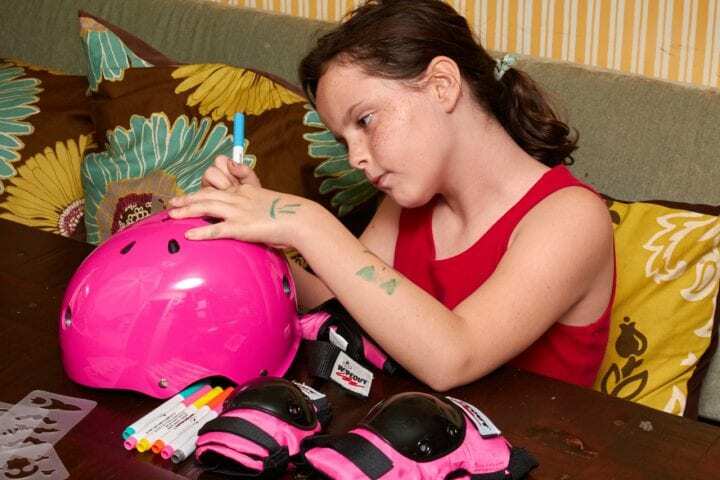 Wipeout Dry Erase Protective Gear is great for kids to get creative on their own or with friends, a fun birthday gift and party activity, as well as a super choice for holiday or with a new bike, skateboard or scooter as kids outgrow their old one. What a fun way to get kids to wear a helmet. This should make the helmet battle some parents have with their kids easier. I wish I had this growing up! The helmets I wore were so generic – I would have loved to decorate and customize mine. These helmets are awesome! My daughter has one and just loves it! This is really cool!! My kids will surely love this! Such a fun activity and a great way to encourage them to play outside! That is pretty awesome! When I was growing up we had to use permanent markers to decorate our gear. This is so much better, and you can change it up depending on what mood you are in! That’s cool! these helmets are fabulous- I love that getting to decorate them makes it cool for kids to wear safety gear! And your daughter looks totally stylin! Also this is a really great incentive to get your kids OUTDOORS! This will definitely make kids want to wear helmets more! I think it’s awesome that they can design their own helmets! This would be a nice gift for the kids in the family. I’m sure they’re going to enjoy designing their own helmets! That’s really cool. I love that the kids can design and redesign their gear over and over. 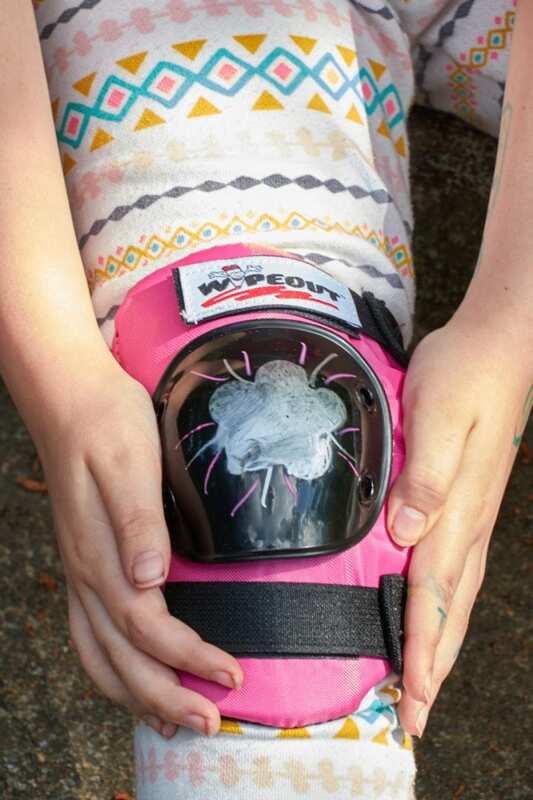 This is a great way to encourage kids to wear their protective gear. I am sure there will be no struggle making them wear something they designed themselves! I’m sharing this post with my sister. She can get this for her son. Those are so cool! I wish they would have had these when I was growing up! It’s nice that you can customize your child’s helmet with this kit. My kids would love these too! What a cute design that your little girl put on her helmet. Just the idea of being able to get creative with it will make them more responsible in remembering to wear it when they are skating or biking. Great idea. What FUN! I think it is wonderful to allow kids, even more, ways to express their individualism! What a fun idea for the kids. Anything that encourages them to want to keep safe is okay in my book! Cool helmet. It’s so important that the kids wear protective gears. This is a fun way to get them wear the gears. That’s sounds great! Its very cool! 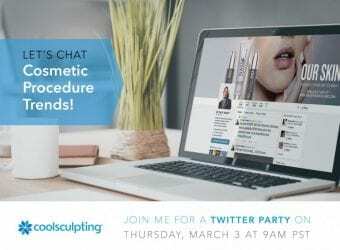 I like that products! This would be so cool. My daughter who is an artist would have an awesome time with this. These are great! My daughter has this as well and she loves it! This is a pretty awesome idea! My 5 year old loves to draw and things to make them her own! I think it’s great that kids can add a personal touch to these. Oh this is such a good idea! It’s so fun, I bet kids would really love it. This is so cool! I have never heard of this brand before. My daughter loves personalizing all of her belongings. This would be perfect for her. That is so cool that they have developed a way to encourage kids to wear a bike helmet. I rode my bicycle everywhere without one growing up and I am surprised that I never hurt myself. 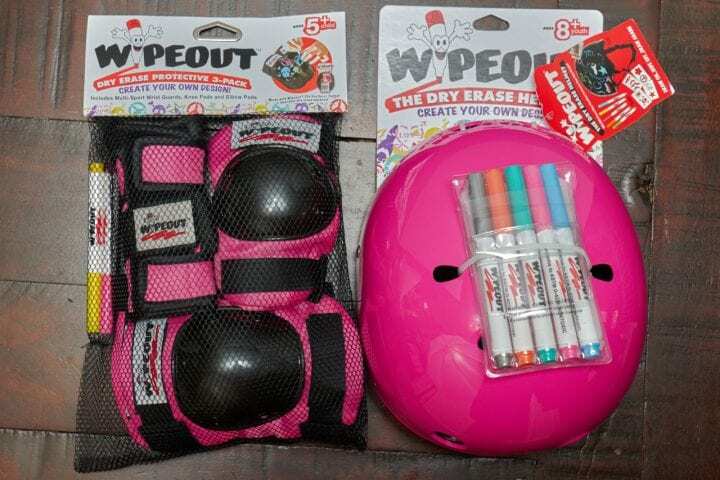 Wipeout Dry Erase Productive Gear would be a great idea for my grand-daughter’s bike helmet! I will recommend this to her mom and dad! These are so cool! My son would have a blast designing his own helmet. He’d probably draw soccer balls all over it. 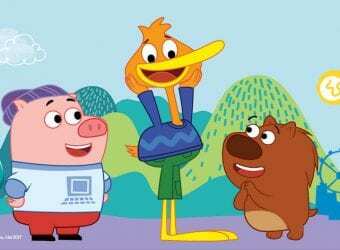 This is a cute concept. I bet this will make your child/tween more excited to wear their helmets without asking since they put their own creative touches on it. This is such a fantastic idea. It really lets the kids get creative over and over again. This is a fantastic idea. My kids are going to love it. It will make them want to wear their protective gear. What a great idea to protect kids while also encouraging them to get creative. The best thing is since this is dry erase, they can redecorate their helmets whenever the feel like it. This is really awesome. This would be something great for my girls. I know they would love to make designs on their helmets. How neat! This is so cool, I could never find the ones my kids wanted in their size. Now they can individualize their helmets over and over again! My boys would love this. Very cool and creative. Our 7-year-old would love this. He took part in a bike “run” in Atlanta and had a ball. Kids decorated their bikes, but maybe they can do their helmets next time. Boy would my kids enjoy this! I mean they do try to design all their stuff regardless if I allow them or not! That is such a cute idea! Our kids would love the idea of decorating their own helmets! This is a really cute idea! 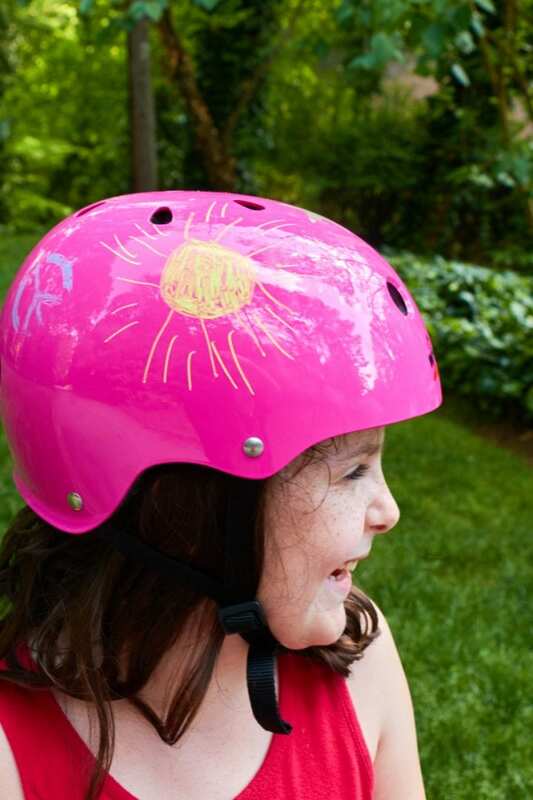 Our youngest is starting to venture out from her bike to more dangerous activities and she needs a new helmet! I’ll have to look this up!